By the end of the 18th century almost all the legislation directed principally against Catholics in Ireland had been repealed thus allowing them to build places of worship as they pleased. From this period the ambitions of clergy and laity, allied with increasing Catholic prosperity resulted in a renaissance of church building. By the end of the 18th century almost all the legislation directed principally against Catholics in Ireland had been repealed thus allowing them to build places of worship as they pleased. From this period the ambitions of clergy and laity, allied with increasing Catholic prosperity resulted in a renaissance of church building. 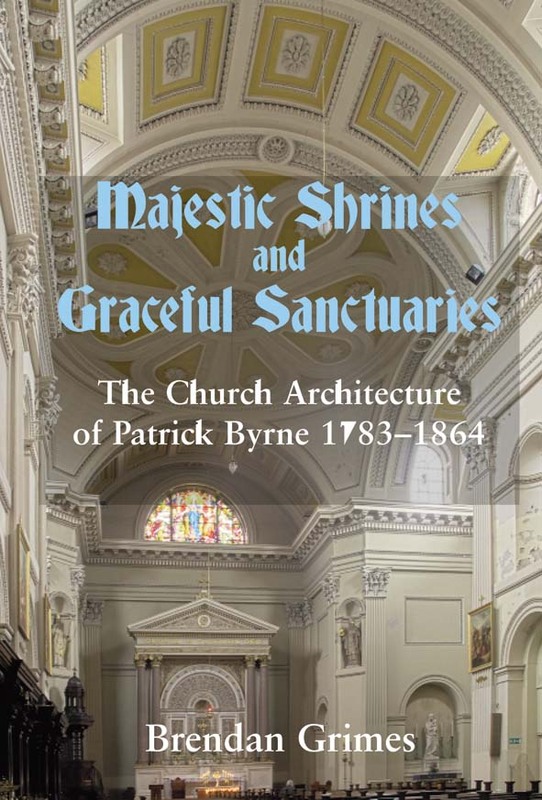 Their means and ambitions increased throughout the 19th century and from the 1830s until his death in 1864 Patrick Byrne made a big and important architectural contribution with buildings of quality. Brendan Grimes is a lecturer in the Dublin School of Architecture, Dublin Institute of Technology. © Irish Academic Press Ltd 2013.